Mr. Obama's move follows an investigation by IG Gerald Walpin of Sacramento Mayor Kevin Johnson, who is an Obama supporter and former NBA basketball star, into the misuse of federal grants by a nonprofit education group that Johnson headed. "It is vital that I have the fullest confidence in the appointees serving as Inspectors General," President Obama said in a letter Thursday to House Speaker Nancy Pelosi and Vice President Joe Biden, who also serves as president of the Senate. "That is no longer the case with regard to this Inspector General." The president didn't offer any more explanation, but White House Counsel Gregory Craig, in a letter to Sen. Charles Grassley, R-Iowa, cited the U.S. attorney's criticism of Walpin to an integrity committee for inspectors general. Grassley had written President Obama a letter pointing to a law requiring that Congress be given the reasons an IG is fired. He cited a Senate report saying the requirement is designed to ensure that inspectors general are not removed for political reasons. 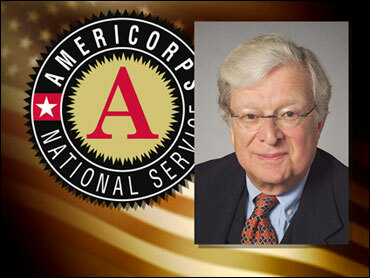 Grassley said Walpin had identified millions of dollars in AmeriCorps funds that were wasted or misspent and "it appears he has been doing a good job." Messages left for Walpin seeking comment were not immediately returned. In August 2008, Walpin referred the matter to the local U.S. attorney's office, which said the IG's conclusions seemed overstated and did not accurately reflect all the information gathered in the investigation. The U.S. attorney's office reached a settlement in the matter. Brown cited press accounts that said Johnson and the nonprofit would repay half of nearly $850,000 in grants it received. Kevin Heistand, chairman of the board of St. HOPE Academy, said in a statement it was "about time" Walpin was removed. "Mr. Walpin's allegations were meritless and clearly motivated by matters beyond an honest assessment of our program." Ken Bach, who works in the inspector general's office at the corporation, will be acting inspector general until President Obama appoints someone to the position. Walpin, a New York attorney, was appointed by then-President George W. Bush and sworn into office in January 2007 after being confirmed by the Senate, according to a news release on AmeriCorps' Web site. Walpin graduated from College of the City of New York in 1952 and received a law degree in 1955 from Yale Law School. He was a partner with the New York City law firm Katten Muchin and Rosenman LLP for more than 40 years. Alan Solomont, a Democrat and the board chairman of the government-run corporation, and Stephen Goldsmith, a Republican and the board's vice chair, said they strongly endorsed President Obama's decision.